Get a quick and easy overview of your portfolio's performance including realized profits + receive alerts when prices drops. Do you beat the market? Calculates the development in your portfolios since any given date (after 1/1-2000) and allow you to compare it to indices such as OMX20, Nasdaq, Nyse etc. Includes currency fluctuations in calculations. If you don’t want to check the app every day, you can schedule daily and weekly reports, which tell you through e-mail or push message how your portfolio is developing. Register profit, yields, taxes etc and it’s included in the development calculation. Receive alerts via push-notifications and emails. Choose between cross-price and trailing stoploss alerts. Use the spreadsheet to do see how the app calculates and do further calculations or tax calculations. – Financial Calendar – Dates of shareholders meeting, accounts etc. 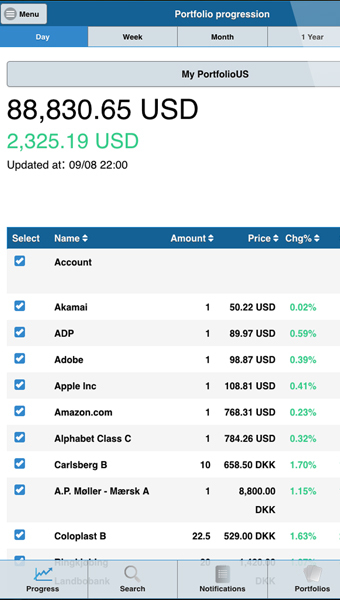 – Favorites – mark any stock as favorite for quick access. – Color themes – choose between three color themes. – It’s become even easier to avoid losses. The Portfolio Monitor will automatically monitor entire portfolios and alert when stocks drop or Death Cross/Golden Cross occurs. – Overlay Simple Moving Averages curves on the details graph. – RSI (Relative Strength Index) in stock details. – Get overall status of all portfolios. – Ability to add shares in the same company. – Recent news on companies. – Links to external resources with additional information on each company. – Distribution graph – Stocks in same company are added. – Account – Transactions enables the app to register profit/loss (and other income/expenses). Which can be included when calculating the protfolio progess. 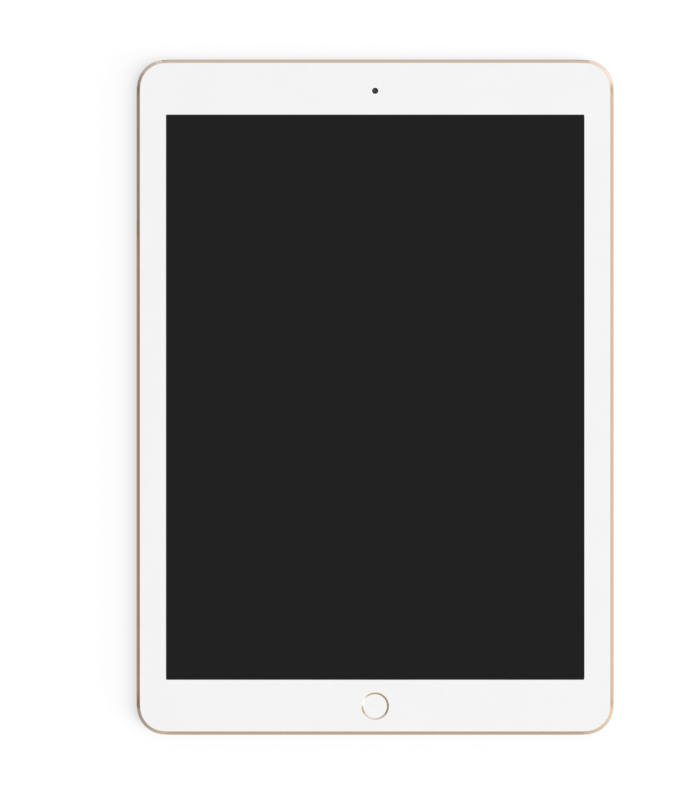 How do I share a portfolio between several devices? – Insert the same email and password on the other device that needs to get access to the portfolio. – Accept that the existing portfolio is overritten. – Click ‘remember password’ or remove password in settings if your don’t want to login later. How do I create login + password? Insert your email and password in settings on the device that contains the portfolio you want to share. Here is a list of all available stocks. If you still miss a stock, then contact us. Why should I use the portfolio account function? The goal of the App’s is to give an complete overview of how your portfolios develops over time. To get the full picture, it is necessary to track all expenses and income e.g. losses when selling, dividends and fees etc. 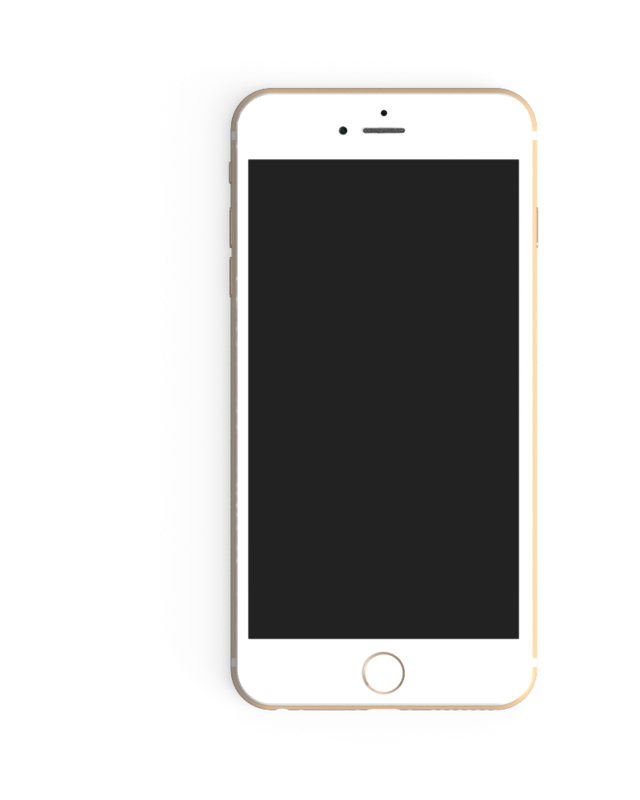 When you sell a particular stock, the app will automatically register the gain or loss you incurred based on the selling price. This and other transactions will be tracked only when “Include Account” is activated in settings. Can I register a partial sale of a stock? 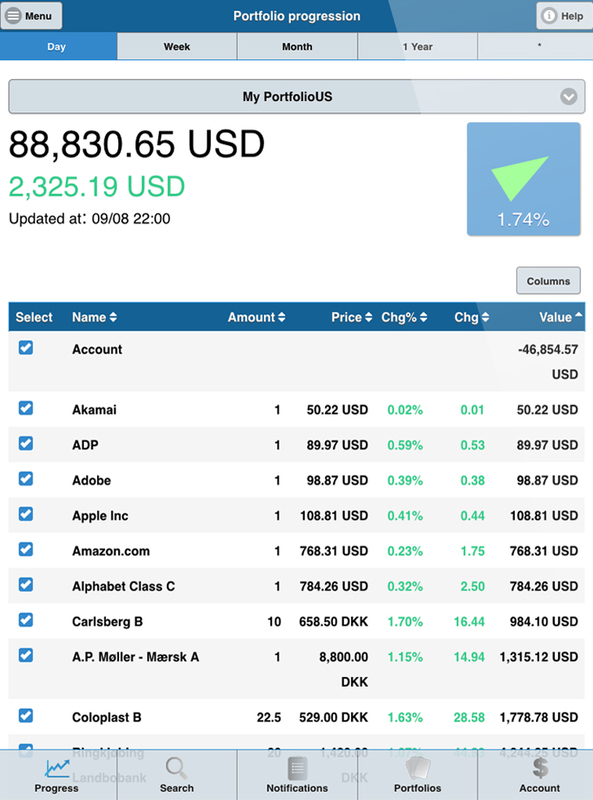 Why do the stock prices in the app deviate from other sources on the web? The price of a paper is not completely unambiguous, since there will typically span between offer price and bid price. Also the time delay can vary between sources. If you find major divergence in a stock price , please contact us. Can I see/edit my portfolio on my PC/Mac? If the same stock has been bought on different dates, they are displayed individually. Isn't it possible to add them and see the avarage change? Via Settings “Add stocks from same company”. Why is there no update button in the top of the portfolio screen? Press the arrow to update. Is it possible to register cash holdings? The portfolio account can be used to track cash holdings (funds in your account) and the end-result (surplus/deficit). By creating a Transfer in transaction, you can adjust the account balance without changing your end of year results. Green/red account postings contribute to the assessment of your portfolio’s results, while grey items will only impact the account balance. Can I register amount with decimals? Bastaware © 2017. All Rights Reserved.